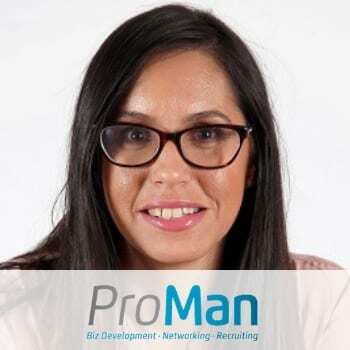 Pro-Man specializes in HR and recruitment solutions, particularly active in the digital sphere, such as LinkedIn, Xing, Facebook and other professional networks. Due to current and ever evolving trends, Pro-Man is now even more focused on people-oriented business development and networking. Pro-Man provides consulting and advisory services. We accompany companies in their business development in the digital environment while customizing all processes to the customers’ requirements. Pro-Man also specializes in the identification of target audiences and communities for businesses. We also offer advanced sourcing processes in the field of employee recruitment. Again the main emphasis lies within the digital sphere.